Passion Seed Oil, also known as Maracuja oil, ethically sourced directly from the mountainous region of South Western Uganda. The exotic passion flower has many health benefits and is most commonly known for its calming properties. Passion Seed Oil is a great emollient oil. Light, non-greasy and easy to apply. 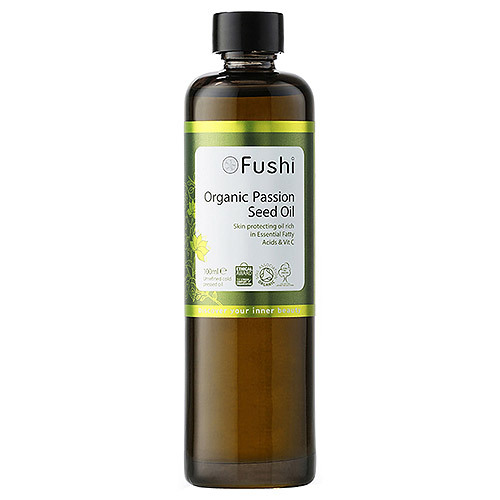 It is an excellent moisturiser, rich in essential fatty acid omega 6 and vitamin C.
100% Passion Seed (Maracuja) oil (Passiflora edulis), Cold pressed, Unrefined. The versatile Passion Seed Oil offers a number of wonder skin benefits. Beautifully hydrating for all skin types. Apply 10-15 drops daily to your face, or use overnight as a night oil treatment. Nourish the skin by massaging generously into affected areas daily. Rejuvenate the skin by applying 5-10 drops on the affected areas several times a day. Naturally soothing, massage 20-30 drops into the affected area and leave overnight to help restore scalp moisture. For healthier, softer and smoother cuticles add one or two drops to a cotton pad and apply on nails and cuticles. Massage 10-15 drops into hands to leave them super soft. Below are reviews of Fushi Passion Seed Oil - 100ml by bodykind customers. If you have tried this product we'd love to hear what you think so please leave a review.